Last week I read the YA book Hattie Big Sky. 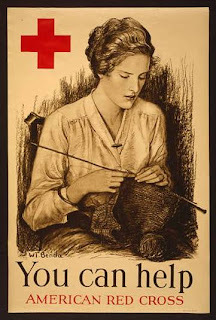 It's set in 1918 and the main character in the book tries to "do her part" by knitting socks for the soldiers. I thought wow, it's a good thing we don't have to do that anymore. Then I read a post asking for helmet liners for our soldiers in Afghanistan. "30,000 service men and women will be deploying to Afghanistan and they need hand-knitted helmet liners because the ones they are issued with are not close fitting and warm enough." 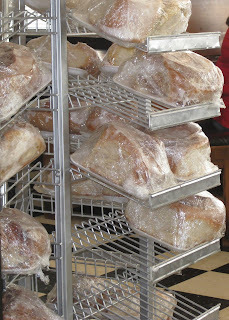 Today, December 29, is designated Local Yarn Store National Helmet Liner Day. Most stores are collecting throughout the month of January so there is still time to knit your bit. We came back home last night after a very long road trip. Over the last week we traveled through 10 states and 3500 miles. If we make it through all these miles without getting H1N1 it will be a miracle. I realized on this trip I am in love with seeing different landmarks and landscapes. The weather was grey and rainy for the rest of the drive down South and it may have influenced my opinion about Mississippi, Louisiana, and Texas. Tons of refineries dotted the landscape through these 3 states. The goal was to get my parent's winter home set up by the 19th. 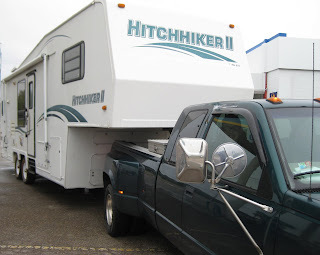 On the 17th we moved their RV to their winter spot by the beach. 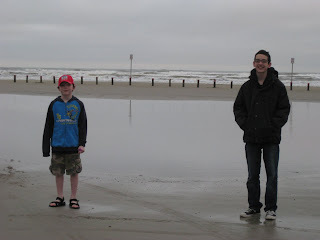 We brought the grey and rain from Illinois with us. This part of Texas never has this much rain for so many consecutive days. On Friday the kids took advantage of a beautiful, sunny day to ride bikes down the beach. I could park myself on a chair listening to the surf for the rest of the winter and not miss a bit of the Illinois winter. Everything is Texas is Texas sized. 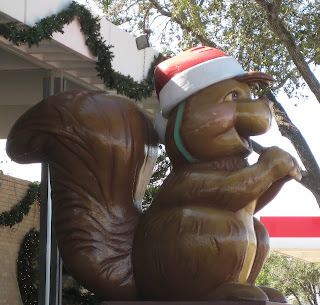 We drove past this big squirrel in Sinton,TX outside of a praline store..
We ate lunch at Lulu's Bakery and Cafe where they have 3 pound cinnamon rolls. On Saturday we headed to San Antonio to catch our train back home. The rail is a great way to see the USA and the kids love it. The train went past the new Dallas stadium, the Colorado River in Austin, the Gateway Arch in St. Louis, and the Mississippi River. The best part about the train is the ability to get up and walk around and the views from the observation car. The kids and I may become hermits for a couple of weeks and recover from all the crowds of people we encountered on our trip home. Our train was overbooked by 5 people but we made it home safely and right on schedule. Thanks to my wonderful husband we came home last night to a clean house, presents wrapped, and a Christmas tree all set up and ready to decorate. Thanks babe, I couldn't do it without you! 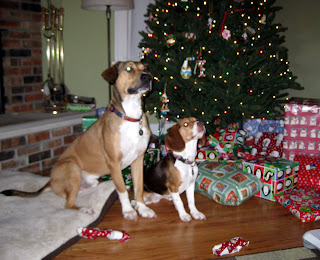 The dog may think differently but he'll do just about anything for a treat. 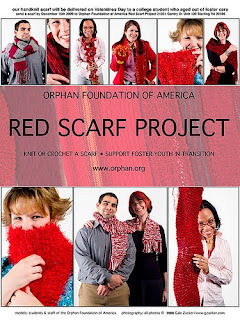 The Red Scarf Project is in need of more scarves ASAP! There is lots more info on who gets the scarves if you follow the link above. As of last week, the OFA has just barely 1300 scarves. They need 3000 for the Red Scarf Project, to send in care packages to college students formerly in foster care, who are going it on their own. The students truly appreciate what you are doing, knitting something by hand for them. Not only is it likely to be the only handknit they receive, it will likely be the only care package. If you need more motivation to knit for this project there are a couple of groups on Ravelry with more information.